In my last article, we looked at how it was translation that made modernization possible in the West. I explained how through translation an environment was created where people felt familiar with and could, therefore, develop and exert their skills, making it possible to establish a dynamic modern society. 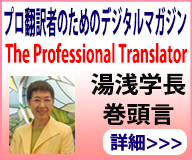 Many readers are also aware that translation helped in modernizing Japan. In fact, it can be argued that Japan was a country that most consciously and successfully used translation in becoming a modern nation-state. In this article, we will look at Japan’s process of modernization during the Meiji era (from 1868) in diving deeper into the significance of translation. This statement is from a prominent Japanese politician, but surprisingly not from a recent news report. This argument for making English the national language was proposed approximately 140 years ago (1870), in the beginning of the Meiji era. This statesman was the pioneer for what is known today as the “Englishnization” debate. Japanese statesman Arinori Mori (1847-1889, born in the Satsuma domain), who later became the first Minister of Education, was the chief advocate during the Meiji era for making English the official language in Japan. Why did Mori make such a radical claim? Compared to assertions today that English should officially be taught beginning in elementary school, or that corporations should switch to English in-house, Mori’s claims were based on a much deeper sense of danger and were in many ways quite persuasive. For example, in the beginning of the Meiji era, Japanese vocabulary at the time didn’t contain the terminology needed to build a modern nation state like the great Western powers. Words used frequently in this column such as society, modern, and economy were words created after entering the Meiji era and didn’t exist prior to that time. While tied into one-sided treaties because Western powers didn’t view Japan as a “civilized” nation, the new Meiji government was expected to establish a legal system and governmental organizations that would be accepted by those nations as well. If Japan didn’t do so quickly, it likely would become into a colony like other non-Western countries. To modernize quickly, Japan needed to find a fast and effective way to integrate those concepts used in the West into its own culture. This strong sense of danger was the background for Mori’s arguments. Mori insisted that Japan should abandon Japanese as the country’s official language and instead make English the common language in order to bring about rapid modernization. Mori used various avenues in arguing that Japan should use English to become a modern nation-state. He had studied abroad in the West and worked hard to learn English. 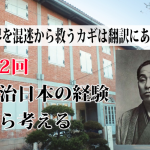 He made use of his English skills by sending letters (written in English) to linguists and intelligentsia in the West, seeking their opinions on Japan’s predicament. Surprisingly, many of these linguists and intelligentsia opposed Mori’s radical assertion. For example, take Yale professor William Dwight Whitney. Whitney, the first president of the American Philological Association, was a well-known and respected linguist. Mori pointed out in his correspondence to Whitney that Japanese was insufficient grammatically. It had limited vocabulary, and intellectual concepts could not be expressed without using Sino-Japanese terms (Japanese terms adopted from China). This showed that Japanese was insufficient as a language for bringing about modernization in Japan. Whitney, however, did not agree with Mori’s claim that Japan should transition to English in becoming a modern nation-state. Whitney’s responded by pointing out that there were almost no examples of countries successful in becoming a modern nation-state doing away with their native language and instead adopting English. If Japan made English as its official language, the Japanese would have to first learn this new language before they began other learning. Most citizens were limited in time and would find it difficult in practice to learn. As a result, the minority privileged class with time available for learning would monopolize culture, resulting in a large disparity and disconnect between the elite and general masses. Whitney also stated the following, encouraging Mori to use Japanese in transforming Japan into a modern nation-state. In addition, Whitney explained that enriching the Japanese language must be one facet of cultural progress. He argued that a rich native language was a means for advancing Japanese culture, which would naturally result in its people growing culturally. 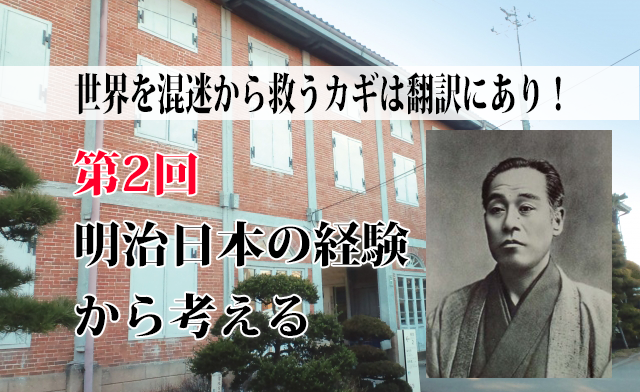 Tatsui Baba studied abroad in the UK as a student both from Tosa province and the new Meiji government and was therefore proficient in English. Baba opposed Mori’s argument for making English Japan’s official language while living in London, and his method of opposing Mori is quite interesting. Baba wrote a Japanese grammar book in English, which was published by a British publishing agency. As mentioned above, Mori criticized Japanese as being deficient grammatically. Baba refuted this argument, and by explaining clearly in English Japanese grammar Baba proved that Japanese also had a systematic grammar system. First, learning English would require a tremendous amount of time, which would most likely be a poor use of time for Japan’s youth. Linguistically, English differed greatly from Japanese. 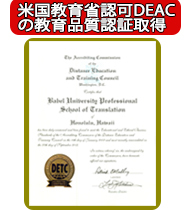 This meant the Japanese would have to work extremely hard to learn English – a time-consuming process. There was a danger that Japan’s youth would waste their time on English when there were many other subjects they should be learning. Second, by making English Japan’s official language, only the handful of the privileged elite would be able to discuss important national issues. Learning English was difficult and required a great amount of time to learn, and so only the wealthy class – which made up a small portion of Japan’s people – could become proficient in English. If Japan’s various systems were operated in English, this would mean discussions about national politics and the economy would be conducted in English, making it impossible for the majority to participate. This meant that only a handful of Japan’s people would participate in Japan’s modernization. Consequently, gathering together the power of the people to evolve into a nation on par with the West was would become nothing more than an elusive dream. Baba’s Japanese grammar book proved that Japanese grammar contained a thorough system that could be explained to non-Japanese people. In addition, Baba understood that when it came to modernization, Japanese was simply lacking vocabulary that existed in Western languages. If this was the case, there was no need to do away with Japanese and modernize Japan using English. Baba believed it was beneficial instead to proactively translate information written in Western languages into Japanese, increase the Japanese vocabulary, and thus make Japanese a rich and well-rounded language. Those who agreed with Baba’s argument and line of thinking helped by contributing creative ideas, which led to creating a necessary vocabulary for modern Japanese. A different path had been chosen from that which Mori proposed. Instead, information was proactively translated from Western languages and new vocabulary and concepts from the West incorporated. The Japanese were successful in establishing Western vocabulary and concepts into their language. “If it was believed that new academic knowledge and understanding of culture and its institutions should only be left to a select class, and therefore education belonged only to a small handful of the elite, there would have been absolutely no need to improve or develop Japanese. However, if it was believed that science, technology, philosophy, and all things cultural should be shared by all in Japan and that as many citizens as possible should have the chance to receive a high level of education, Japanese had to be improved (omission). While at first, this approach seemed roundabout, it was, in fact, the quickest way to enable thriving cultural progress, and therefore bring about Japan’s independence and prosperity. It can be argued that the fact that new culture and academic knowledge was not monopolized by one exclusive class was, for better or for worse, what brought about Japan’s current prosperity” (Thoughts on the Meiji Era, Kodansha, 1977). In retrospect, it’s clear that Japan’s modernization from a language perspective closely resembled that of the West, which we examined in my previous article. Western countries translated writings in Latin – considered to be the universal language at the time – into their various native languages. By incorporating intellectual concepts into their native language in a way that was familiar – in other words, indigenization – these countries created a public atmosphere operated in those native languages. It was within that atmosphere that citizens combined their efforts to make modernization possible. The same went for Japan in the Meiji era. First, vocabulary in English and other Western languages thought to be “universal” and “cultural” was comprehensively translated into Japanese, transforming Japanese into a more well-rounded language. Japan then created an environment where its people, with a little effort, could come into contact with the latest knowledge from around the world. It was this process that enabled many people in Japan to develop and exert their skills, create a modern country where all could participate, and establish the first non-Western modern nation-state. I mentioned at the beginning of my previous article that globalization – which has been going on for the past 20 years – appears to be reaching a standstill in many regions. Globalization, as many are aware, is the movement to make social rules and systems, and even language, as universal as possible. Globalization also enables the movement of people, things, and money across national borders. Japan has been pursuing globalization since the latter half of the 1990’s up to the present. Calling for cultural reform, Japan has made changes in various national laws and systems to fit the “global standard” (which is nothing more than the “Anglo Saxon” standard). In promoting globalization over the past few years, the government has focused on language by investing energy in transitioning to English. Elementary schools are moving towards making English a required subject, and universities are moving towards teaching courses in English. Even in the private sector, one often hears of Japanese corporations trying to switch to English within their corporation. However, these movements towards globalization and making English the official language could have disastrous results. These are the results that Baba and others from the Meiji era expressed concerns about. For example, only the privileged elite – who possess money, skills, and time (leisure time) – will be able to participate in politics and the economy. Japan will thus become an economically polarized society brought about by one’s ability to use English. It is feared that this polarization of Japanese society will result in a lost sense of unity among citizens. Those who promote globalization (or globalists) tend to be rather simplistic and arrogant in their thinking. They assume that people in Japan and worldwide will be able to adapt to standardized rules, systems, and language, thus enabling them to actively participate on a global scale. This is not a realistic assumption, however. Just as there are many languages in the world, there are also a plethora of different cultures. Efforts towards globalization that make light of cultural diversity and push the world into one set of rules, one system, and one language will quickly result in disparity, the malfunctioning of democracy (politics partial to the interests of the elite), divisions among people, and other even more serious problems. The world needs to devise alternative plans to the existing Anglo Saxon version of globalization. This is where translation can provide some helpful hints. Translation helps us in understanding that the world is culturally diverse and that people are impacted on some level by their native language. The principles of translation serve as a guide to finding ways to create a stable and even better world order.